"Just 1% of start-up companies create 40% of new jobs -- a far smaller number of companies than had been thought -- a World Economic Forum (WEF) study has found. 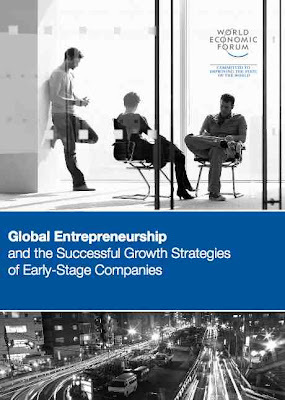 The WEF said governments looking for growth through entrepreneurship should examine what made these successful. It said that they should do this rather than "replicate Silicon Valley". [...] The WEF Entrepreneurship Report, in collaboration with Stanford University and Endeavor Global, said: "After avoiding the collapse of the global financial and economic system, governments around the world are now focused on building a foundation for future growth." It said the purpose of its report was to provide insight into how to successfully foster entrepreneurship, with "the ultimate goal of improving economic growth, prosperity and quality of life." Worthy thoughts. Check out the Report.